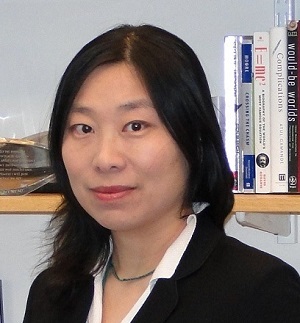 Congratulations to Dr. Jinbo Bi on winning an NIH Mid-Career Independent Scientist Award for her research project “Classifying Addictions Using Machine Learning Analysis of Multidimensional Data.” This award is expected to total over $800K from 2017 to 2022. The purpose of the NIH Independent Scientist Award is to foster the development of outstanding scientists and enable them to expand their potential to make significant contributions to their field of research. This award enables Dr. Bi to become a leading quantitative investigator in the field of substance use and psychiatric disorders, reflecting her ongoing commitment to developing an innovative and interdisciplinary research program on the classification of complex disorders. The specific aims of this project are to examine whether clinically-defined subtypes derived in Dr. Bi’s NIH R01 project predict differential treatment response, whether new statistical models that she is developing for combining longitudinal treatment data with behavioral and genomic data can identify meaningful disease subtypes for precision medicine; and whether there are genetic or social moderators of treatment outcome by subtype.